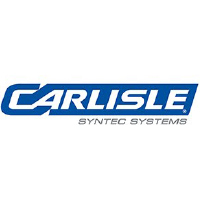 For nearly half a century, Carlisle SynTec has been the trusted provider of the most dependable and longest-lasting single-ply membranes in the commercial roofing industry. With over 15 billion square feet of roofing materials sold, Carlisle continues to lead the industry by providing its’ valued customers with the most innovative products, services and warranties on the market. Whatever your roofing needs, Carlisle SynTec has a system– and an answer– for you. Carlisle’s signature roof system, Sure-Seal® EPDM, has established 50 years of excellence. Its reputation of low maintenance and top-notch weathering characteristics makes it the ideal roofing option for many climates. In northern climates especially, the original black color of our Sure-Seal® membrane attracts the sun’s solar energy, leading to significant reductions in heating costs during the winter months. The EPDM membrane may also help melt snow that can pile up on your roof and lead to potential structural damage if not removed in a timely manner. Sure-Seal EPDM roof systems offer easy installation and require no special tools or complex equipment. With innovations such as Factory-Applied Tape™(FAT), where seam tape is applied to the membrane in the factory, and pressure-sensitive accessories, the installation of a Sure-Seal EPDM system has never been easier and more efficient. With 30+ years of experience, Sure-White™ EPDM roof systems combine the consistent high performance of Carlisle’s EPDM with the numerous benefits of reflective roofing membranes. Substantial savings in air conditioning costs is one of the many reasons Sure-White EPDM roof systems deliver an exceptional choice for buildings in southern climates. Sure-Tough® membranes get their strength from a strong polyester reinforcing scrim sandwiched between two plies of Carlisle’s time-tested EPDM rubber. The reinforcement more than doubles the puncture resistance compared to non-reinforced membranes. Due to its dual-ply construction that makes it resistant to cuts, tears and scuffs, the Sure-Tough system is ideal for rooftops where long-term performance and protection is essential. Thicker membranes offer greater thickness over scrim and therefore superior longevity and better scuff resistance. All Sure-Tough membranes can be backed by total system warranties, including an accidental puncture warranty. With accidental puncture warranties available to the building owner, Carlisle stands up for Sure-Tough performance by making limited repairs to unexpected damages in the membrane. Carlisle’s RapidLock (RL) Roofing System is a revolutionary membrane attachment method that provides a fully adhered system without the use of adhesives. The RL system utilizes VELCRO Brand Securable Solutions along with 115-mil FleeceBACK RL EPDM or FleeceBACK RL TPO to achieve performance on par with traditional fully adhered single-ply systems. Thermoplastic polyolefin, or TPO, is the fastest-growing segment of the commercial roofing industry, and Carlisle is the leading supplier of this type of roofing. Fueling this growth is the increased use of TPO in southern climates where cooling costs significantly outweigh heating costs. Carlisle’s Sure-Weld TPO membranes are ENERGY STAR®-qualified and CRRC certified and have been directly attributed to a reduction in a building’s energy consumption by greatly diminishing the cost of air conditioning. In addition to Sure-Weld TPO, Carlisle offers Spectro-Weld™, the industry’s most reflective single-ply membrane designed for installation in conjunction with PV applications, as well as any project that benefits from long-term reductions in cooling costs. Spectro-Weld’s industry-leading reflectivity and extremely smooth top surface enables the membrane to provide a whiter, more reflective appearance for years to come. Carlisle’s patented APEEL® Protective Film application guards the surface of TPO membrane from scuffs and dirt accumulation during installation, eliminating the need to clean the roof once the project is complete. Durable and easy to remove, APEEL Protective Film helps save time and labor, improves aesthetics, and increases customer satisfaction. Sure-Weld TPO membrane with APEEL Protective Film is ideal for re-roofing, re-cover, and new construction projects. Polyvinyl Chloride, or PVC, is a trusted membrane that has been performing admirably for decades in the European and North American markets. Another option for reflective roofing, Carlisle’s Sure-Flex™ PVC membranes are ENERGY STAR qualified and CRRC certified and offer building owners the potential for decreased cooling costs. Sure-Flex PVC also offers excellent resistance to rooftop chemical attacks including acids, bases, restaurant oils and greases. Carlisle’s Sure-Flex ® KEE HP (High Performance) membrane is manufactured using DuPont® Elvaloy® KEE HP resin modifier. KEE HP enhances the performance of PVC compounds by providing outstanding thermal stability and flexibility while extending the low- and high-temperature performance limits of standard KEE. The addition of Elvaloy KEE HP, a non-volatile resin modifier, provides enhanced heat and chemical resistance. The physical properties of the membrane are enhanced by a tenacious polyester fabric that is encapsulated by thick KEE HP-based top and bottom plies. The smooth surface of the KEE HP membrane allows a total surface fusion weld over a wide temperature range, creating a consistent, watertight, one-piece roof assembly. Carlisle’s FleeceBACK® membranes are the ideal choice for buildings that require superior rooftop protection and long-term durability. FleeceBACK membranes feature 45-, 60- or 90-mil EPDM or 45-, 60- or 80-mil TPO membranes joined with a strong 55-mil fleece. The combination of fleece and Carlisle’s proven membranes create a rooftop that can withstand extreme weather conditions. Often used with the FleeceBACK systems, FAST™ Adhesive is a two-component, low-rise insulating adhesive that offers superior staying power and adds to the rooftop R-value. A FleeceBACK – FAST system provides a bond that offers superior strength and wind uplift resistance for up to 120 miles per hour. Carlisle’s new Flexible FAST Adhesive offers elongation of 150% and added puncture resistance. FleeceBACK and Flexible FAST are recommended for Roof Garden terrace or solar PV installations due to added strength and durability. For HotMopped and ColdApplied FleeceBACK systems, Carlisle offers its patented AFX fleece. AFX offers additional protection against hot asphalt saturation, ensuring that it does not bleed through and discolor the TPO or EPDM membrane. The importance of a properly insulated building cannot be overstated. In fact, a building that incorporates insulation into its overall roof design can substantially lower energy costs throughout the life of the roof. Because of its superior R-value and excellent energy-efficient properties, polyisocyanurate foam (polyiso) has become the industry’s premier roofing insulation. Polyiso can be attached to appropriate decking materials with a variety of plates and fasteners or Carlisle’s Flexible FAST® adhesive and is compatible with all Carlisle roof systems. Carlisle manufactures its own polyiso in a number of production facilities strategically located throughout the United States, giving us the ability to fully satisfy the need for this increasingly popular material. Carlisle also manufactures tapered polyiso to accommodate specific designs that require additional slope to rooftop drains. In addition to polyiso, Carlisle offers a full line of other insulations, including extruded and expanded polystyrene, fiberboard, gypsum and high-density half-inch polyiso cover boards to meet any roofing need. -Filter and reduce stormwater, helping to minimize the stress placed on sewer systems and prevent flooding. -Add aesthetically appealing real estate to your building, giving your tenants much-needed green space. -Reduce the urban heat island effect as the sunlight is absorbed into the vegetation and used for growth instead of being converted into heat energy. -Protect your rooftop membrane and substrate from weathering, extending the service life of your roof system. -Capture airborne pollutants and atmospheric deposition while also filtering noxious gases. -Provide extra wildlife environments for the bee population and migrating birds, especially in towns and cities where natural habitats are so scarce.